Current title devised by Library staff based on information provided by the source: Flickr Commons project, 2008. Original title, "Cal. Del. 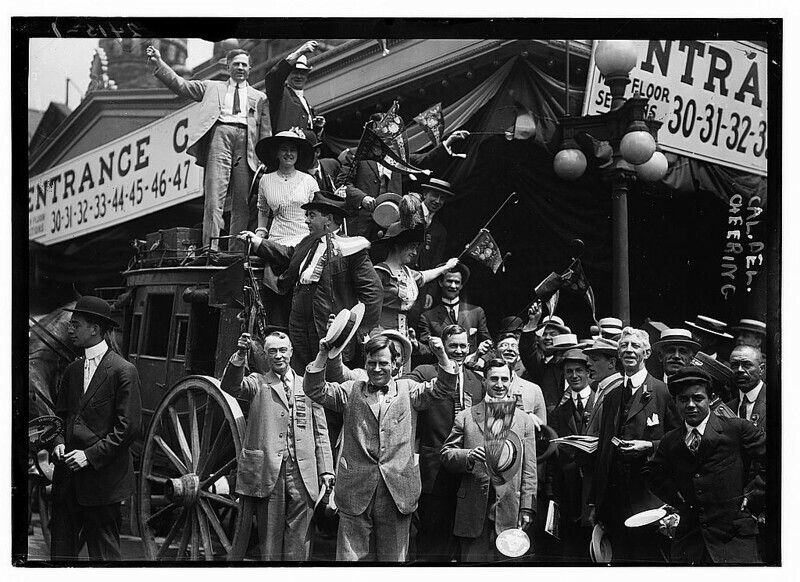 Cheering," from unverified data provided by the Bain News Service on the negatives or caption cards. Image published by The Library of Congress on 2008-01-03 20:33:39 and used under Creative Commons license.